Telephone Systems are Business Critical. Modern VoIP (Voice over Internet Protocol) Telephone Systems are Cost Effective, Scalable and utilise computer cabling eg CAT5 CAT6 cables. They can utilise broadband connections for porting/diverting calls over the Internet. Commonly known as VoIP or Voice over IP. This allows you to cancel traditional services such as ISDN or Analogue line rental Reducing Costs whilst increasing flexibility. Where Broadband speeds are not of sufficient capacity, ISDN and or Analogue lines can still be integrated effectively. A reliable and flexible unified communications solution. 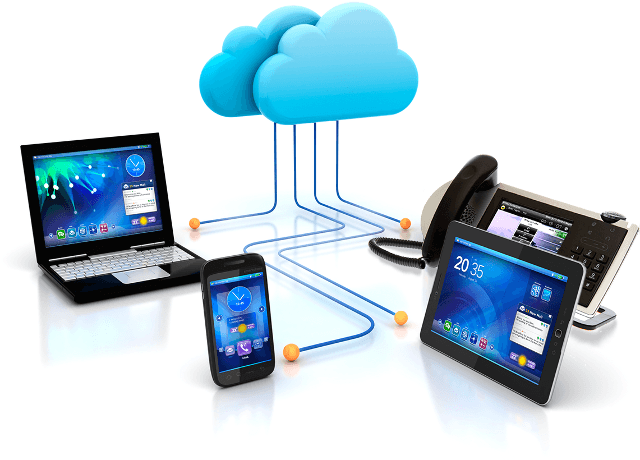 Feature-rich modern telephony in the cloud. Costs grounded in financial efficiency. Orbtalk’s hosted phone systems are rich in features, high on quality and low on cost of ownership. We manage the simple switch to the Orbtalk exchange, and look after your data security and call routing. You can then build a system that meets the needs of your users and provides complete operational flexibility. Numbers can travel with people, and call charges – even abroad – range from low to free, with calls charged by the second, not the minute. Features are extensive and sophisticated, from call forwarding, monitoring and recording to conferencing and CRM integration.